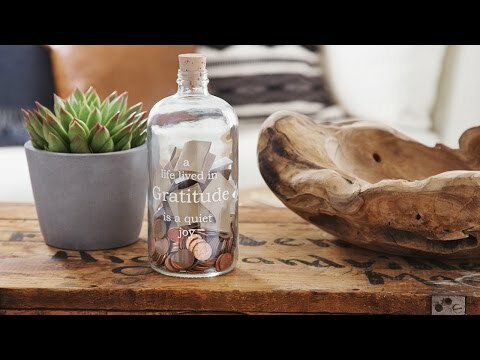 These Made in the USA, printed glass gratitude jars encourage you to take a moment to be thankful—and they do it beautifully. 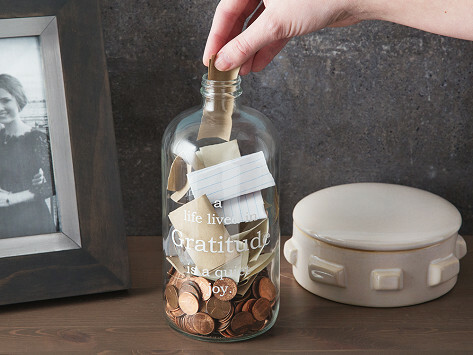 Their apothecary jar style looks sharp as it gets filled with loving notes. Or, next time you find a penny or some spare change, take a second to note your blessings as you drop it into the jar. As you watch the jar fill up, you’ll build a habit that helps you focus on the positive things in your life. Gave to daughter as a gift. She is a 70's child. Loves it!